Our BBQs and Smokers are all made of the highest grade materials and crafted to perfection. 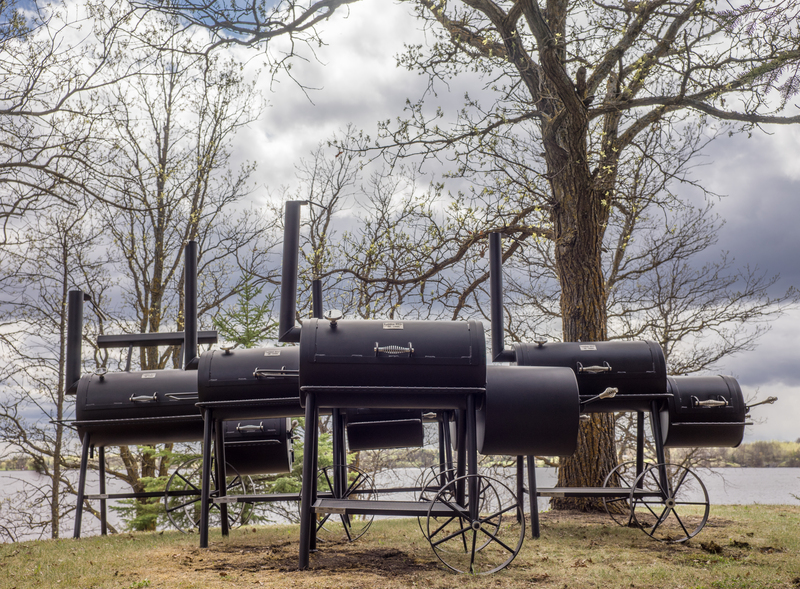 Our premier offset smokers are the barrel shaped cooking chamber with a shorter, smaller diameter barrel attached to the bottom of one end for a firebox. To cook a small fire is built in the firebox where airflow is tightly controlled. The heat and smoke from the fire are drawn through a connecting opening into the cooking chamber. The heat and smoke cook and flavor the meat before escaping through an exhaust vent at the opposite end of the cooking chamber. Charcoal Grate in Fire Box lets the ashes fall below the firebox so the fire can burn more efficiently. Firebox and Chimney Vents make internal temperature control a breeze. Smoking Barrel Door Thermometer helps you conveniently keep an accurate tab of the temperature.